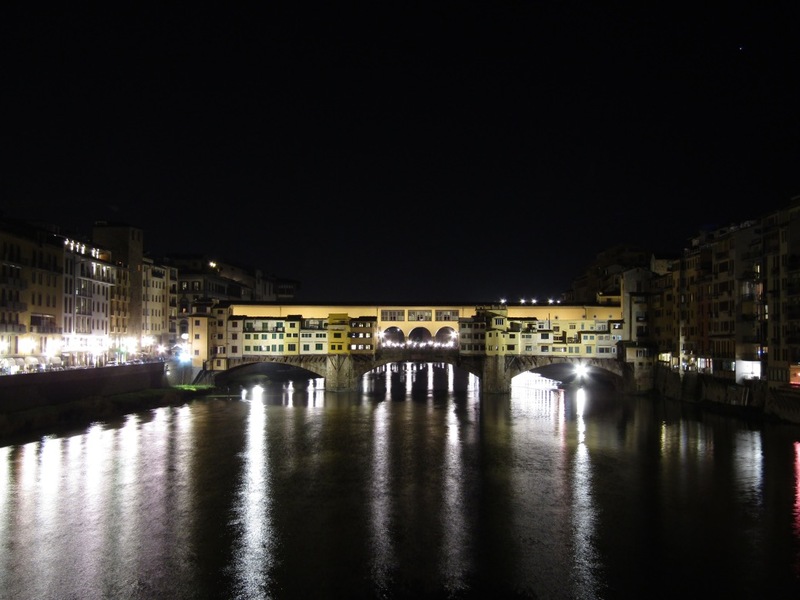 Back in Florence to finish the day, we walked through the south part of town and across the Ponte Vecchio bridge. The bridge is lined with shops on both sides. Originally butcher shops, they now host jewelry and clothing shops.